Looking for a good Del Mar auto repair shop that can provide car maintenance and car repair services with great expertise and the highest degree of professionalism? Then, look no further as Miramar Auto Body offers the best auto repair service in Del Mar that will give you complete peace of mind. Our expert auto repair technicians are trained to perform diagnostic and repair services on all makes and models, and we can take care of your factory recommended maintenance service as well. Our Del Mar auto repair center is a full service automotive repair shop with a strong track record in the performance of complex auto service and repair work. Our facility uses the latest equipment, tools, and software to service cars accurately and professionally. We complete the repairs efficiently and right the first time. Miramar Auto Body technicians and employees are committed to providing exceptional service with honesty and integrity, setting an excellent standard for the automotive repair industry. 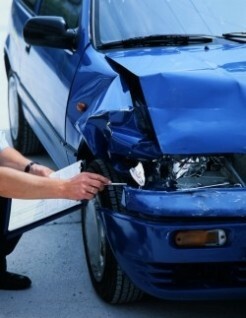 Our ultimate goal at Miramar Auto Body is to provide you with great service at affordable prices. The numerous testimonials of our satisfied customers speak for themselves. Give us an opportunity to serve you, earn your trust and your business, and we promise you will get the best quality of service that will leave you happy and satisfied. So, whether you need new tires or brakes, or just need regular maintenance or an oil change, come to Miramar Auto Body. Don’t wait until it’s too late. Let us help you keep your car running like a classic!